Those lucky enough to have gone to high school with Steve Jobs are starting to cash in on their connection to the late Apple co-founder. The world’s obsession with all things Jobs has extended to his days as a young, long-haired high schooler. 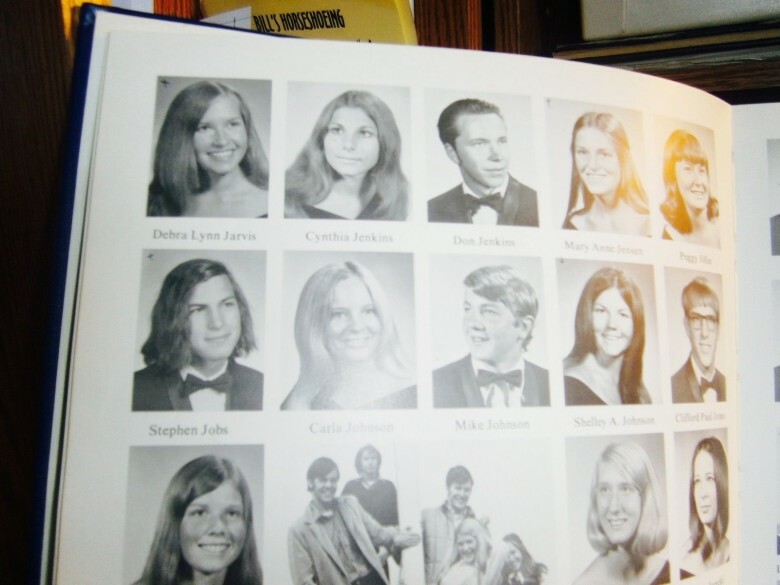 A 1972 Homestead High School yearbook with Jobs’ senior picture sold today for over $12,000, and now more yearbooks are being auctioned off at hefty prices. The first yearbook with Jobs’ senior picture to sell online commanded a final bid of $12,322, or the cost of an Apple Watch Edition with a couple bands. Cult of Mac spoke with the seller when he first listed the yearbook. “My brother was friends with Jobs and I knew his sister Patty who was in my grade,” he said. Now that there’s a proven market for what may turn out to be the most sought-after yearbook in history, more of Jobs’ classmates are jumping at the opportunity to get rich quick. There are at least three 1972 yearbooks from Homestead High listed on eBay right now, all of which start at over $4,900. Not only does each yearbook feature Jobs, but also pubescent portraits of Apple co-founder Mark (Steve) Wozniak and Bill Fernandez, the company’s first employee. Jobs belonged to an eclectic group of classmates. Outside of Apple, his yearbook also includes singer/songwriter Roy Zimmerman and Joe Kane, the only man to have traveled the entire length of the 4,200-mile Amazon River. One seller claims to have been friends with Jobs and also his younger sister Patty, who was a freshman when Jobs was a senior. Another seller was a junior when Jobs was attending Homestead as a senior in Sunnyvale, California. For a grand total of $4,970, that year’s commencement with the listing for “Steven Paul Jobs” is also included. “We weren’t close friends, but associated frequently as classmates in middle school through high school,” reads another yearbook listing description with a $6,499 price tag. When you’re dealing with someone as famous as Jobs, clearly any connection is worth something.